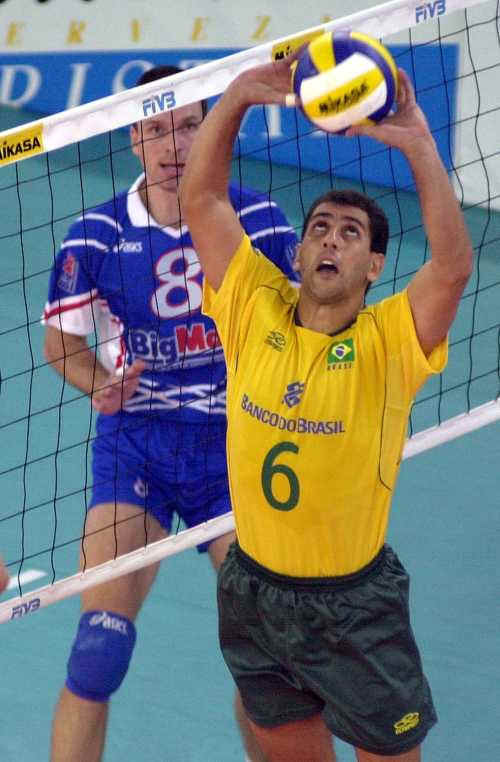 Celebrating this momentous occasion at the Volleyball House was one member of the national team, Mauricio Lima, who was a setter at the time. While the anniversary is always an emotional one for the team, this time around the date holds more meaning in light of the home Olympics. The memories are all good ones for Lima. “We were a young team and very close friends. I remember that we didn’t want any rest days, and we were kids that wanted to be together, train and joke around with each other. Those guys are my idols! They helped me to make my dream come true”, said Mauricio. He still laughs when he remembers running after Arnold Schwarzenegger with his friends at the Olympic Village in Barcelona. He was only 23. “We went there and went crazy taking pictures. We ran after him, and I crouched behind the guards’ legs to take a picture”. The same happened when they saw the US Dream Team. “We ran after Magic Johnson and the American male basketball team, that was visiting the village, because they weren’t living there”. His memory of the on court action is still clear. “We were the first team in our pool, and we played against Japan, winning 3-0 against them. But the hardest game, emotionally speaking, was the semifinal against the United States. They were the toughest opponent. We lost the first set and I got desperate, but we got back on track. Then I relaxed because I knew I would win a medal although I didn’t know which colour”. Although Mauricio played at five Olympics and won two gold medals, he maintains that it was the first one in 1992, 24 years ago, which is the most special. “I’m very proud of both of them, but that one was unforgettable”.